Sailors and fishermen are faced with incredible danger and unpredictable conditions while at sea. Before modern technology, those brave enough to risk their lives on the water often relied on myths and superstitions to explain otherwise inexplicable events. 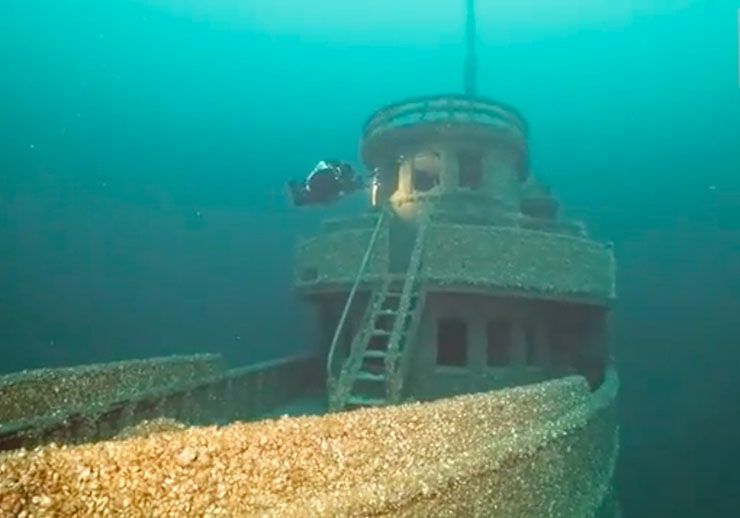 In 1928, a steamboat vanished after encountering a violent storm while transporting passengers and goods on Lake Huron. 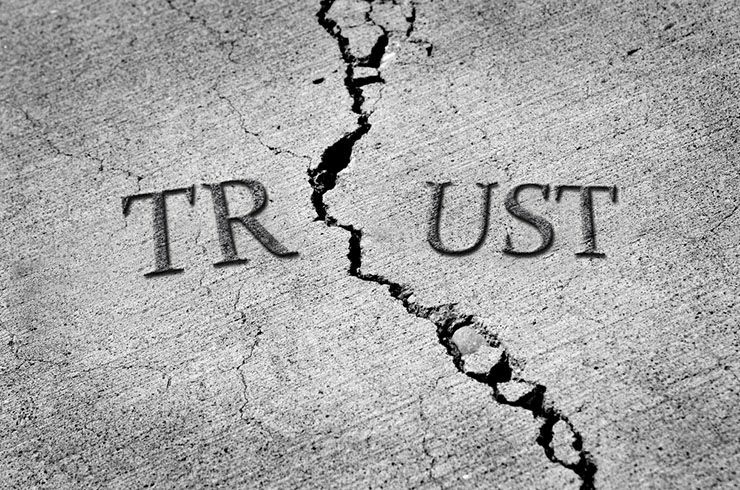 For decades, the terrifying tale has been shrouded in mystery. 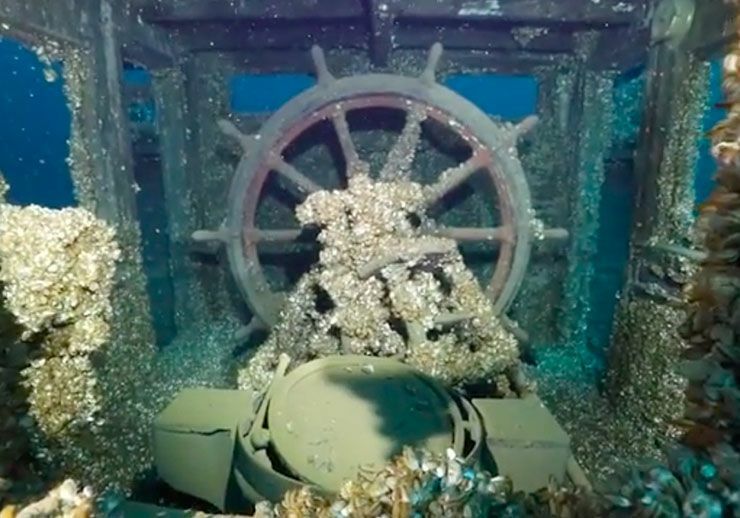 However, answers are finally being uncovered 90 years later after shipwreck hunters discovered the doomed ship on the bottom of the lake. 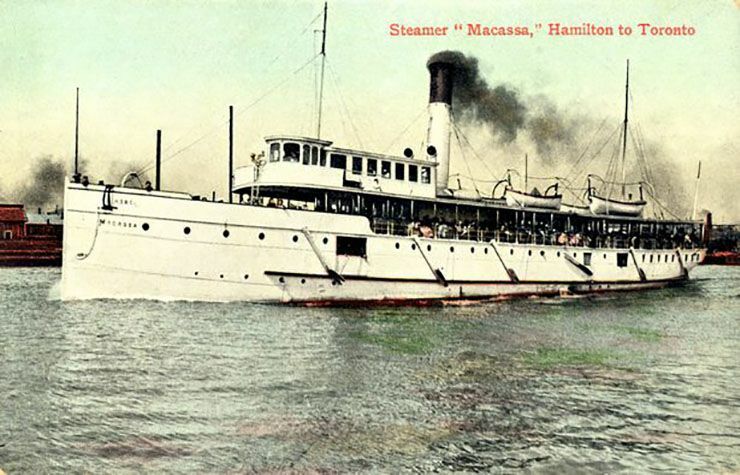 In June of 1888, the S.S. Macassa arrived in Hamilton, Ontario after being built that very same year by William Hamilton & Co. in Glasgow, Scotland. The steamboat was originally 155 feet long and just 24.1 feet wide. Because it was meant to transport people, the ship was also built to be fast. After arriving in Ontario, the Hamilton Steamboat Company put the ship into service. 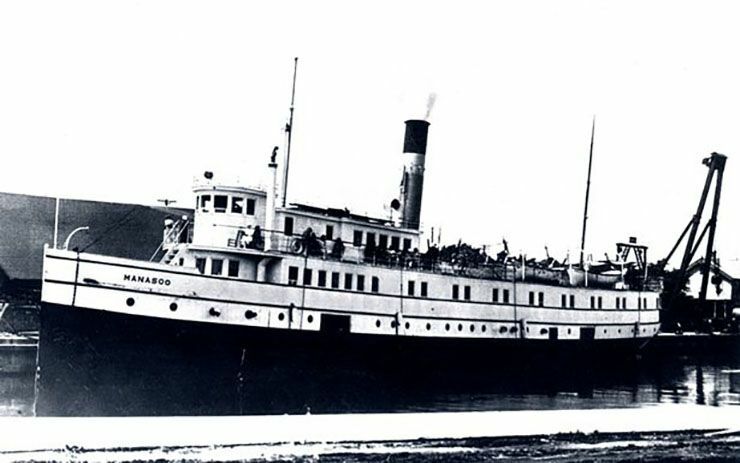 The S.S. Macassa was used as a ferry traveling on Lake Ontario transporting vacationers from Hamilton to Burlington Beach and back throughout the summer months. 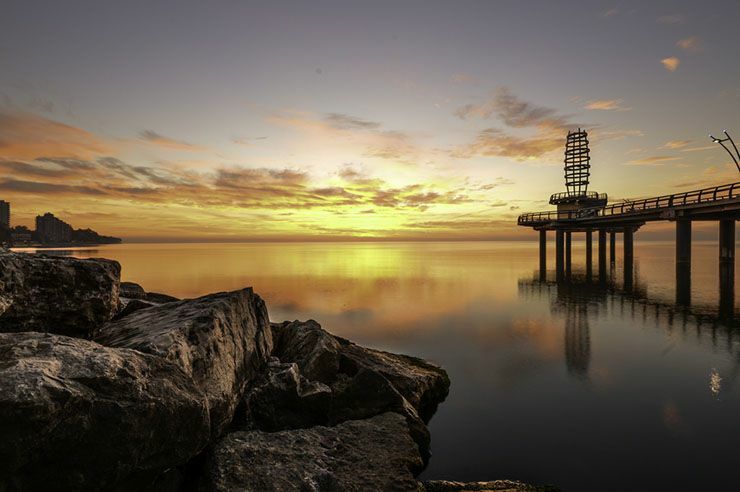 Over the next few decades, the S.S. Macassa continued to successfully serve as a ferry for vacationers as well as carry cargo between Toronto and Hamilton. At one point, the ship was rebuilt to add length so that more passengers and cargo could be better transported. 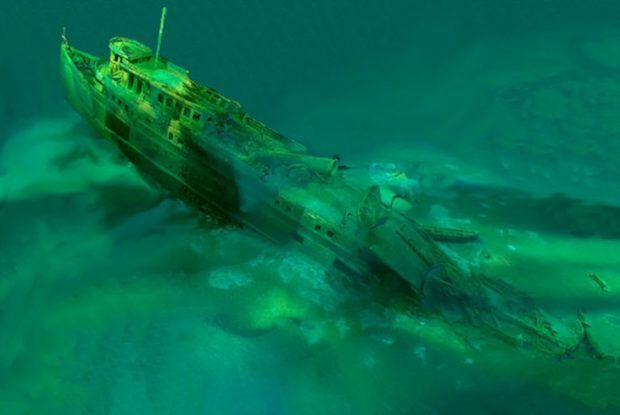 For 39 years, the S.S. Macassa was owned and operated by the Hamilton Steamboat Company and was used to transport people and cargo. 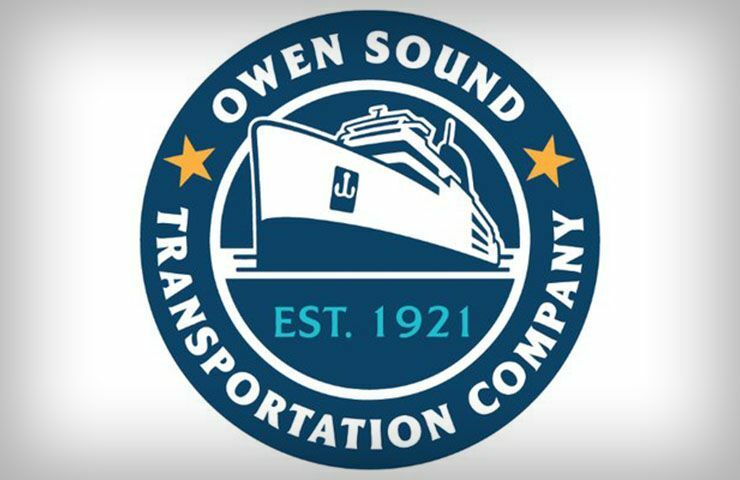 However, that all changed in 1928 when the S.S. Macassa was sold to the Owen Sound Transportation Company. The ship’s new name was a combination of those two destinations. 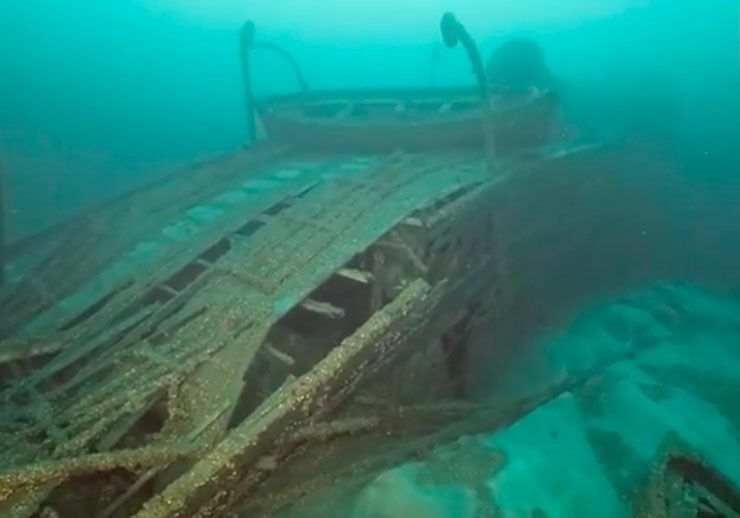 “When new owners moved the vessel to Lake Huron from Lake Ontario in early 1928, they changed the name to Manasoo,” maritime historian Cris Kohl explained in a statement reported by The Sun. During its first season under new ownership, the ship was having great success. However, that success was quickly forgotten because of what happened during a trip in early September of 1928. 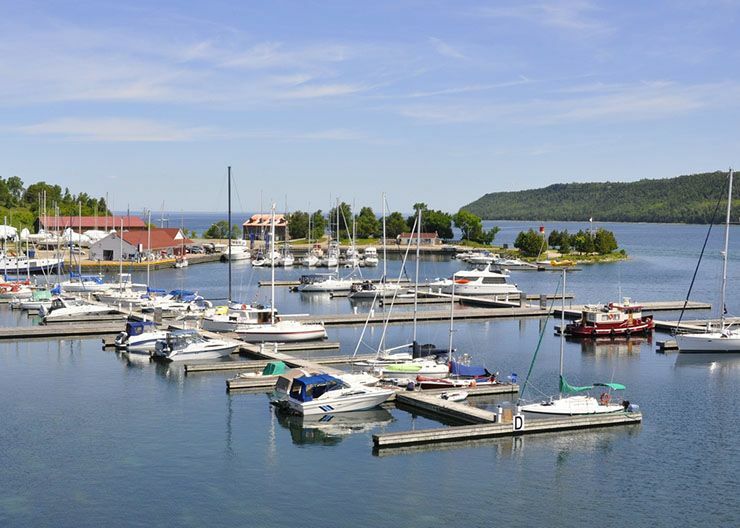 According to records, the ship was supposed to be transporting cargo from Canada’s Manitoulin Island. The then 178-foot ship had been carrying 21 crew members and passengers. 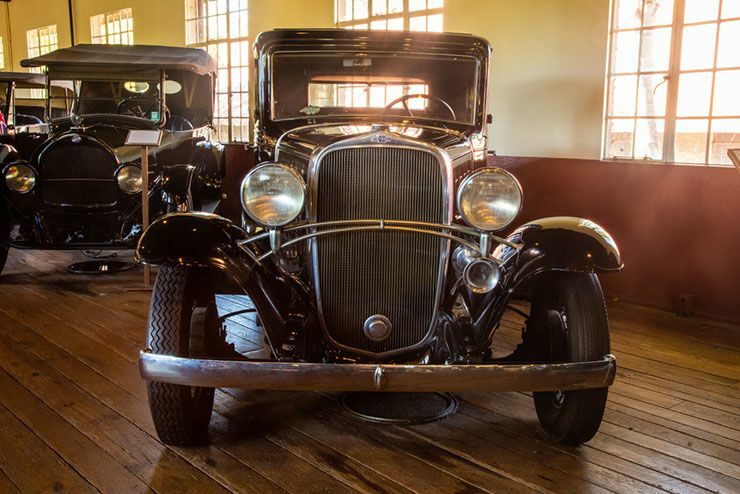 It had also been carrying a cargo of 116 cattle and a pristine 1927 Chevrolet Coupe. In total, the cargo that had been loaded onto the ship was estimated to weigh about 60 tons. The cargo of cattle and the Chevrolet Coupe belonged to Donald Wallace, who had also been a passenger on the ship. 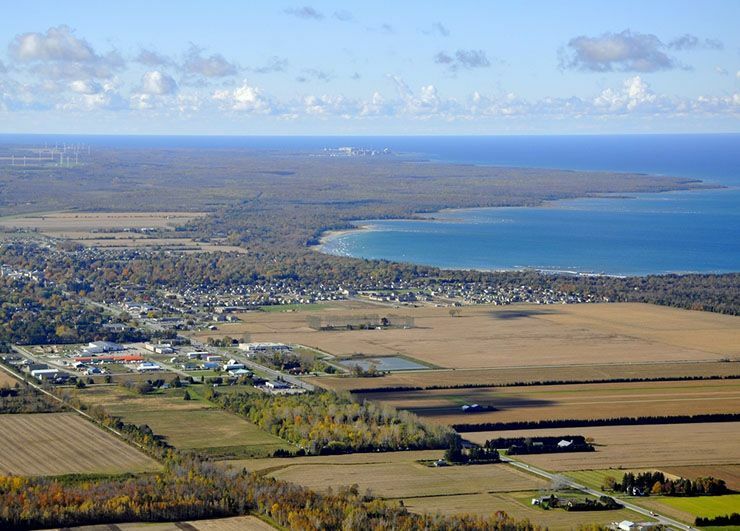 After purchasing the cattle, Wallace planned to transport the herd from Manitoulin to the mainland. Once on the mainland, he planned to sell the cattle for a profit. 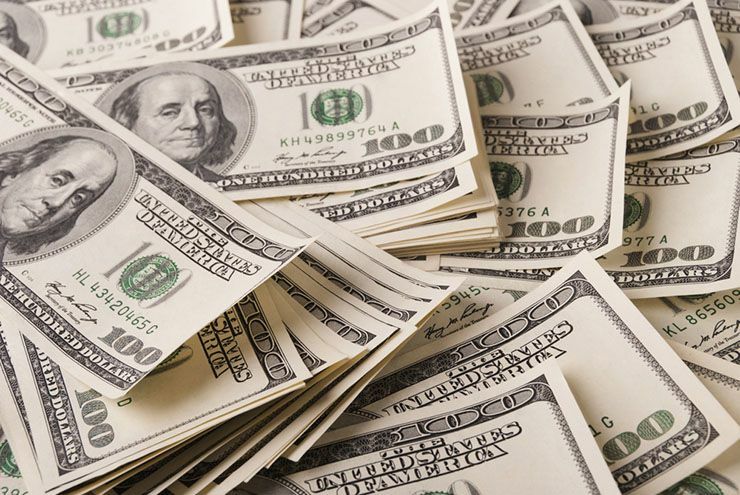 “In all, he bought about $5,600 worth, and had only about $300 left in his pocket at the end of the buying spree,” an account of the doomed voyage explained in a collection, Steamboat Stories. 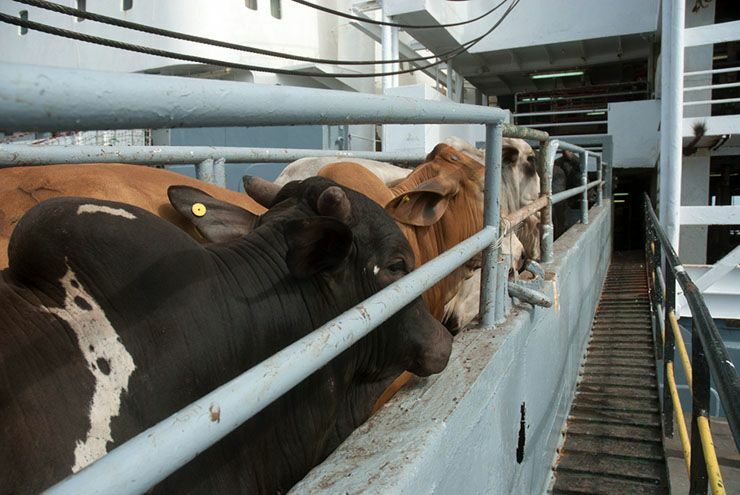 The cows had been loaded onto the main deck into four pens with enough room for them to turn around. 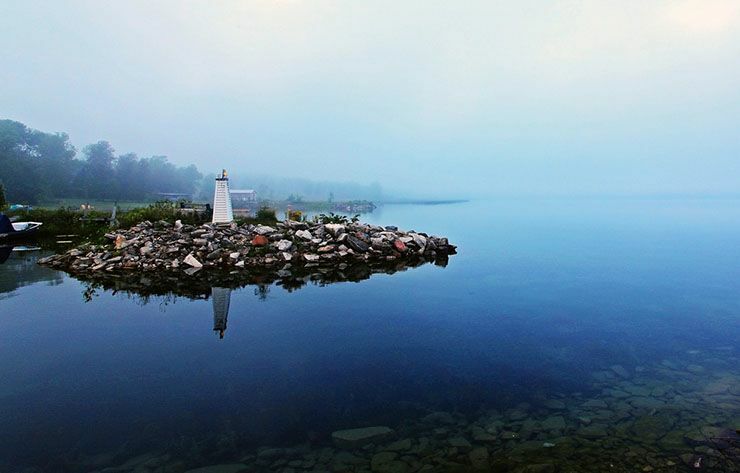 The ship and the precious cargo left Manitoulin Island on September 14, 1928. It headed for Owen Sound, but tragically the ship encountered a bad storm. In the windy conditions and large waves, the boat started leaning too far to one side and rapidly sank at 2 am on September 15. When Captain John McKay realized what was happening, he turned toward a nearby island. Unfortunately, the ship sank so quickly that they didn’t even get close to land. 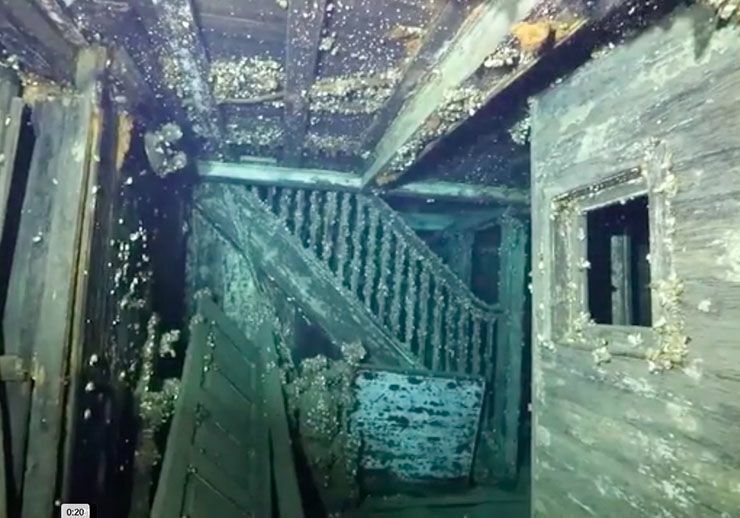 “The events that followed happened within approximately three minutes; firstly the captain realizing that something was very wrong, sent the first mate below to find out what was happening,” a local newspaper explained in 1928. Only one lifeboat was lowered before the ship sank. Tragically, only the captain, four sailors, and one passenger, Donald Wallace, escaped and survived. The group was then forced to drift in the life raft for 60 hours before being rescued by a passing steamboat. During that time, one of the survivors, chief engineer Thomas McCutcheon, died from exposure to the elements. For decades after the wreck, the shipwreck has been shrouded in superstition. 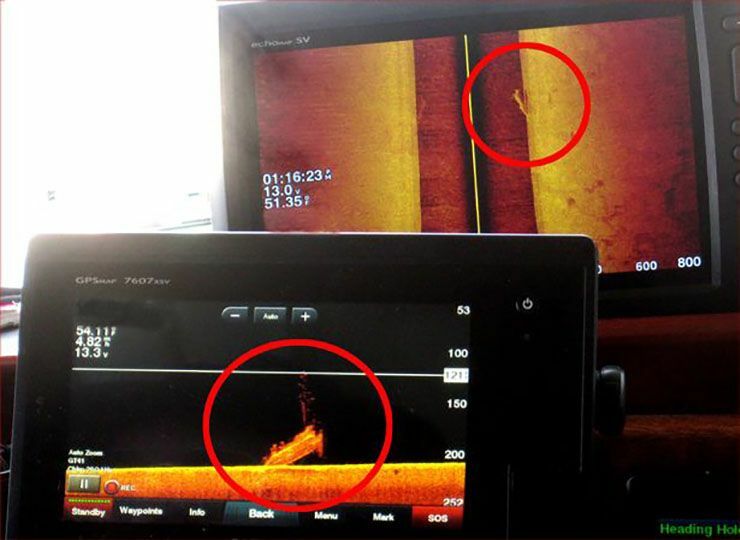 Until recently, the ship’s location has even been a mystery. 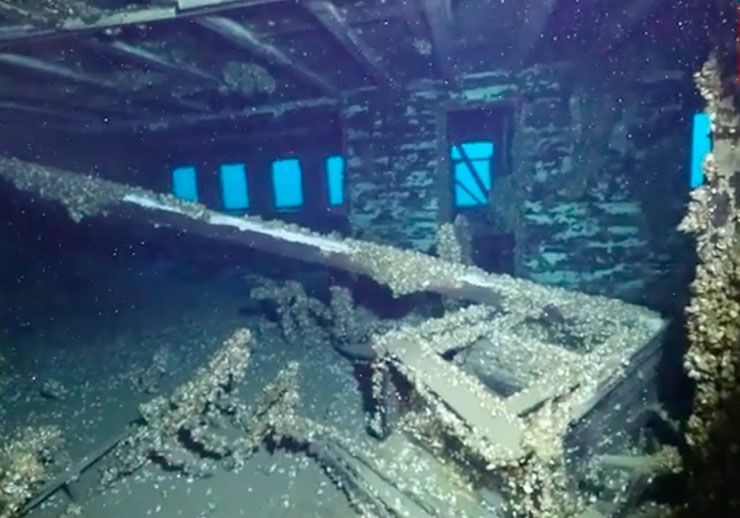 In 2018, however, Maritime historian Cris Kohl and shipwreck hunters Ken Merryman and Jerry Eliason discovered the ship 200 feet below the surface. 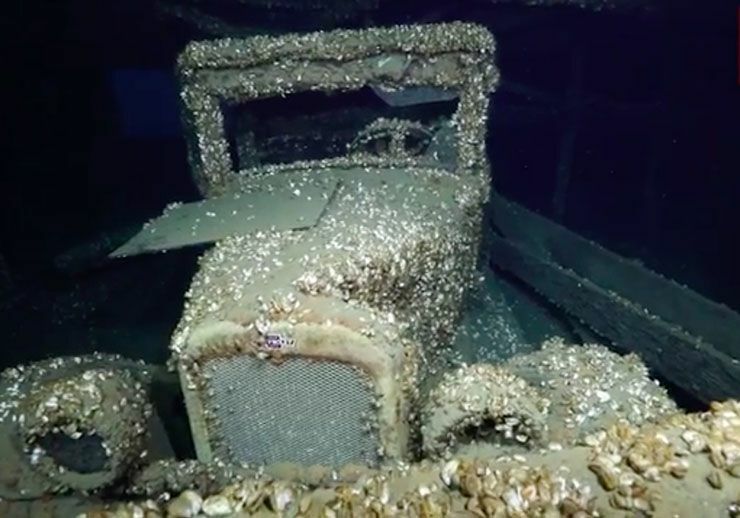 For the last 90 years, the ship has been left untouched at the bottom of Lake Huron off the coast of Griffith Island in Ontario. 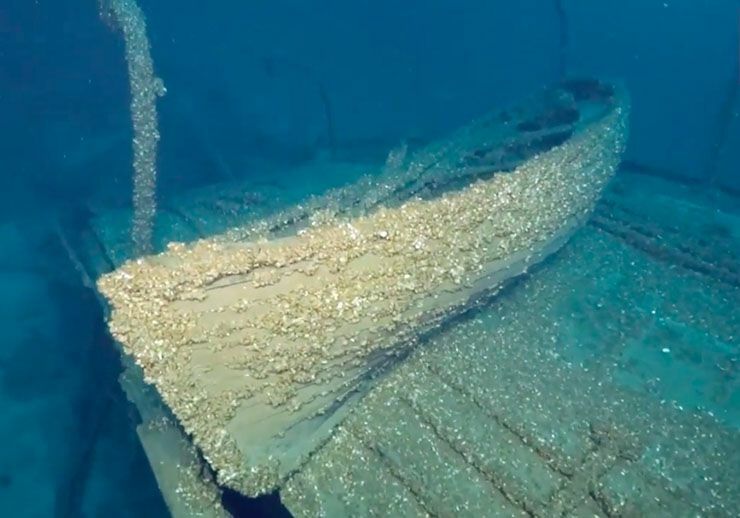 The other possible explanation for the ship sinking had to do with the fact that it became less stable even in calm waters after the extension was added to the ship. When it encountered the storm, the ship began to lean and leaned too far as the cattle shifted the weight on deck to one side. This second theory sounds more plausible then the first, though no one knows for sure what happened.